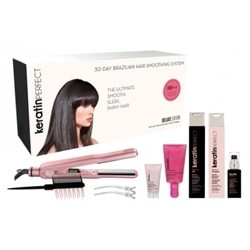 Description: The KeratinPerfect Deluxe at Home Hair Keratin Smoothing System & Flat Iron has all the tools you’ll need for a perfect “at home” keratin treatment. 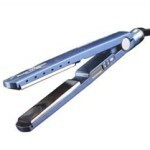 Unlike most chemical straighteners this system does not break the hair’s bonds. This system will infuse nano-keratin molecules deep into the cuticle to fill porosity and roughness on the surface of the hair. These renewed bonds give your hair added strength and elasticity. A healthy natural texture will also be restored to your hair which will help block unpleasant effects of the environment such as humidity. You will get results that will show how your hair is easier and faster to style with added smooth and shine. The KeratinPerfect treatments are unique because they accumulate; your hair will continue to improve with each treatment. Feel: I will start with the feel of the Pre-Treatment Clarifying Shampoo – I loved the feel and lather of this product but what I loved even more was how my hair felt after. The most dreaded part of a keratin treatment for me is the tugging and pulling that goes along with detangling my hair after a clarifying shampoo (and no conditioner!) but this particular clarifying shampoo left my hair feeling crazy clean without the nappyness I have experienced with other shampoos. Second, I love the consistency of ThePerfector smoothing treatment — it applied and ran through easily without dripping all over the place! The shampoo and conditioner feel also impressed me compared to other keratin-maintaining duo’s on the market. The shampoo has a moderate lather which was great in comparison to some of it’s similar competitors that do not lather at all and the conditioner left my hair soft, shiny, and easily controllable! Last but not least, the Replenishing Spray sprayed on as easy as a leave-in conditioner and works the same way in maintaining the longevity of your keratin treatment. It was a nice, light weight product that was almost unnoticeable once dried! Texture: One of the things that stood out to me the most about the Perfector Hair Smoothing Treatment was the texture! As some of you know, once keratin treatments get blown dry onto the hair, it can leave a funny texture or residue until you can shampoo — not this one! The treatment dried just as any daily product would in your hair and it was not even noticeable! As if that’s not great enough, the texture of my hair after shampooing was even better! Usage: The whole process of applying this treatment was incredibly easy! First, I started by shampooing my hair twice with the pre-treatment clarifying shampoo, towel dried my hair and using a rake comb to detangle my hair. Following the Keratin Perfect guide, I applied ThePerfector directly onto my hair in 1/2″ horizontal sections, combing through to comb off any excess product and let the product sit on my hair (without rinsing) for 10 minutes. Once the processing time was complete I used a regular vent brush to blowdry my hair until it was completely dry and the product was dry on my hair. Then, like any other treatment, I flat ironed my hair in 1 inch sections until it was perfectly smooth! 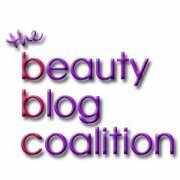 Want more detailed instructions on how to apply? They have a super easy step-by-step how to on their site! Results: So far, I’m loving the results of this treatment and loving how easy (and fast) it was to apply and complete! I have very fine and curly hair and this treatment took all of the frizz out which surprisingly gave me the option of letting my hair air dry… I haven’t been able to do that in years! This is definitely my new treatment of choice in my personal battle against frizz. I love all of the products that came with this kit and the best part? It came with enough product to last me 3-4 treatments! Another bonus? After the initial investment of the larger smoothing system like the one described above, you can purchase just the products, the same sizes, as a kit for less than $100! This is an incredible deal on keratin treatments — I highly recommend giving this a try if you love keratin treatments as much as I do! ← Sulfates in Shampoos — What Does it Mean?